FEATURED STORY: What Is The Truth About Obama’s Brother And The Muslim Brotherhood? The GMBDW has received numerous inquiries about reports that Kenyan citizen Malik Obama, the half brother of President Obama, is “one of the architects of the major investments of the international organization of the Muslim Brotherhood.” The claim appears to originate from recent statements by Tahani Al-Jebali, described as the former Chancellor of the Constitutional Court of Egypt. Ms. Al-Jebali has offered no evidence to date of her claim which we consider it to be outlandish on the face of it. However, in connection with this claim about Malik Obama, there those that have pointed to his alleged position with the Sudanese Islamic Dawa Organization (IDO) as support for the notion that he is a “major operative” of the Global Muslim Brotherhood. 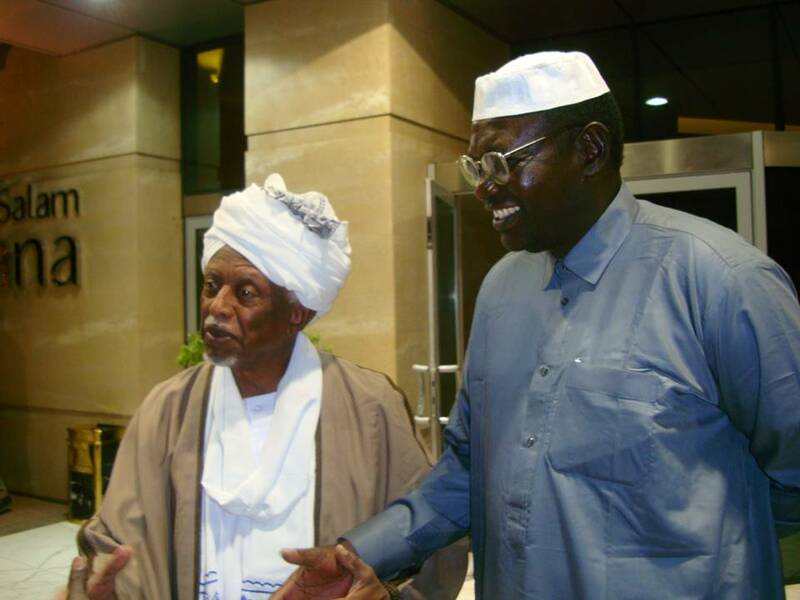 Munazzamat al-Da’wa al-Islamiia is an international non-governmental religious organization; based in Khartoum , capital of sudan, founded in May 1980. The Munazzamat aims at spereading Islam courteously and gently and at providing social services to the deprived people in Africa regardless to colour , race or religion.The munazzamat claims liberty , justice and equality among people and it opposes racial discrimination. The Munazzamat is doing it’s best to spread tolerance and peace Among muslims and other religions followers , and to inspire the beautiful spiritual values of the religions which are meant for the welfare and happiness of mankind. Al-Dhahab was reported again in 2012 to be the IDO Chairman. It should also be noted that the Union of Good (UOG) was designated in 2008 by the US Treasury as a terrorist entity in connection with the financing of Hamas. Beyond Al-Dhahab’s role as a leader of the UOG, the IDO itself is one of the member organizations of the International Islamic Council for Da’wa and Relief (IICDR,) an umbrella group for 86 Islamic organizations, many of which are associated with the global Muslim Brotherhood, Hamas fundraising, or support for Al Qaeda. So, what exactly is the role of Malik Obama in the IDO and what evidence is there for the notion that he is a “major operative” of the Global Muslim Brotherhood? It has been reported that Malik Obama is the Executive Secretary of the IDO but there is no evidence that he has any role in the Sudanese parent organization. He is not identified on the IDO website as a Trustee nor could any mention of him be found on the website or anywhere else as an IDO officer. A 2012 Saudi media report does identify Malik Obama as the Executive Secretary of the Kenyan IDO branch and photos from Malik Obama’s Foundation website do identify its Kenya compound as the site of the Kenyan branch of the Munazzamat al-Da’wa al-Islamiia (IDO) as well as of the “Women’s Section” of the Al-Islah Society of Bahrain, known to be the Muslim Brotherhood of Bahrain. Other Foundation photos show Malik Obama at a 2010 IDO Board of Directors Conference in Khartoum, Sudan including photos of him together with Field Marshal Al-Dhahab. Given all of the above, it certainly can be said that Malik Obama appears to be serving as an officer of the Kenyan branch of the IDO, an organization that sits clearly in the midst of an important Islamist/Global Muslim Brotherhood organization and headed by an individual who is a both a close associate of Global Muslim Brotherhood leader Youssef Qaradawi and who is tied to Hamas fundraising though the Union of Good (UOG). Yet, still missing is any evidence that Malik Obama himself is a “major operative” of the Global Muslim Brotherhood and the GMBDW has never come across his name in connection with any other organization, meeting, conference, or anything else connecting him to the rest of the Global Muslim Brotherhood. It seems to us that more likely than being an important Brotherhood operative that instead, Malik Obama was welcomed into the IDO organization precisely because of the prestige that his relationship to President Obama brings or is perceived to bring with him. That said, the GMBDW wonders about the propriety of Malik Obama’s Foundation being awarded tax-exempt status by the Department of Treasury given his apparent role in an organization headed by an individual who is a leader in a Treasury Department designated terrorist entity as described above.